Rathgama. One of the most violent villages in Sri Lanka, announces Saman, the auto-rickshaw driver. "But they seem nice people." "Yes," says Saman, "They are nice when you are smiling at them. Actually, they are very nice people, but that's only when they are nice. When they get bad, they get really bad." 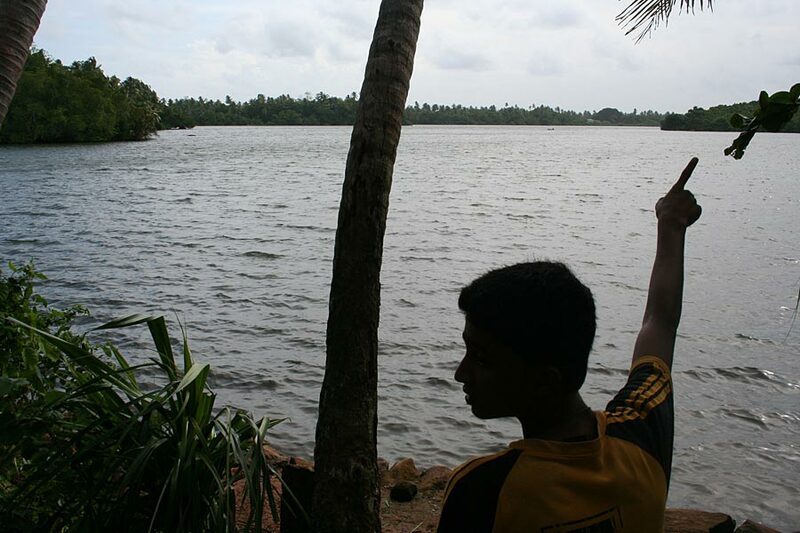 Saman uses his thumb to make a throat-slitting motion, pauses, and then says, "Like Lasith himself. He is very nice, I have played with him, played only two balls and got out twice. Gem of a person, but when he fights while playing cricket…"
Rathgama is, of course, the village, 12km from Galle town, that Lasith Malinga comes from. It's a small place, with a population of about 1000. You ask anyone where Malinga lives and they will tell you. And they say "lives" even though the Malinga family has moved to Moratuwa, because they have not left the house; they still come here on weekends. Everyone can tell you the way, but directions are not enough. It's an intricate village, green, with myriad twists and turns. It's extremely easy to miss a turn. After having missed three, up the hill, we reach this house that has nothing extraordinary about it. Nobody is around, but it is clean, with two easy chairs and two neat pairs of slippers on the veranda. The front of the house looks renovated, but they haven't bothered about the dilapidated back. SK de Silva, neighbour, keen cricketer in his day, and former captain of Kaluthura Maha Vidyalaya, says Malinga came to the house two days ago - four days before the Galle Test. In this "violent" village, playing in the grounds nearby with a softball, Malinga perfected bowling round-arm, slinging balls at high pace. The softballs were light, the sea breeze heavy, it wasn't possible to bowl fast with a high-arm action. Uncoached, untaught, Malinga developed his low-arm action. Some people know just what to do. There is another theory: that Malinga can pull off that action because the strength in his shoulders comes from years of winning swimming championships in the lake that's barely a few hundred metres from his house. Free-style swimming is round-arm, not high-arm. "Every New Year [Sinhala New Year, mid-April], we have the competition," says a kid biking around the lake, "We start from here [pointing to the start of lake], and go until there [pointing to a rock just before a small island inside it]. Last year he finished fourth. The winner was a 10-year-old kid. This year he missed the competition." This year of, course, Malinga was responding to some of the loudest chants in cricket, "Ma-lin-ga, Ma-lin-ga", in the IPL. The boy remembers how Malinga came soon after the IPL and fished with them. "He comes often and plays cricket with us," says Bovidu Sammu, a 16-year-old neighbour. "He plays softball still. In some random competitions, he goes and plays," says Champaka Ramanayake, former Test bowler and now national bowling coach. "He goes and takes hat-tricks and all. It's proper softball competition, proper professionals playing. Loves, just loves playing softball. Just goes and bowls yorkers." 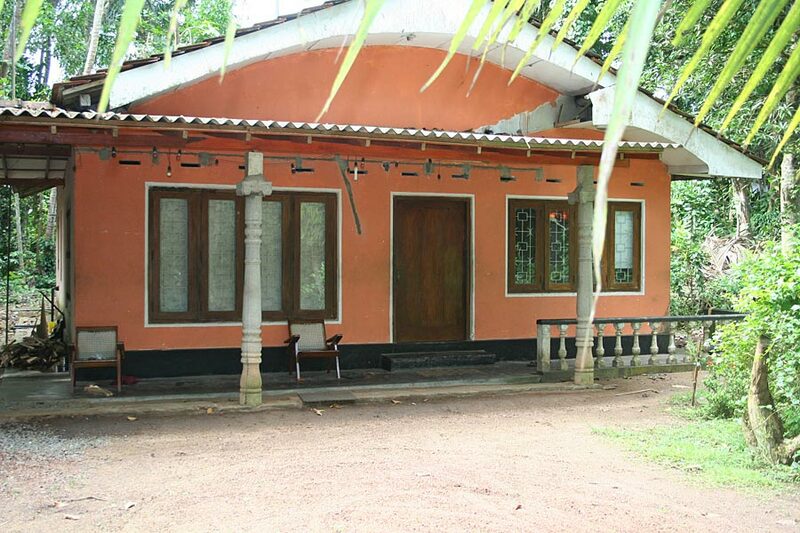 If Malinga comes to Rathgama for a peaceful weekend, he gets it. "Only the first time he came back from playing for Sri Lanka did a huge crowd gather, and we had a big cultural thing," says de Silva. "Now nobody bothers him." Says Saman: "Why should they bother? He is just another man." Except Malinga isn't. He is one of the few men who bowl really fast today. He is perhaps the most recognisable face in Sri Lanka, with his funky hairstyles. De Silva, though, remembers a shy kid, "as ordinary as others", who just played well. "I don't know what he bowled, I couldn't see the ball. I was doing a talent search, he came for that, so I went and batted, and couldn't see the ball. I went and said, 'Lasith I am going to pick you for my team, Galle Cricket Club, and whenever you have time, you come for practice.'" Malinga was a skinny kid then. Ramanayake's biggest challenge was to get some muscle on him to sustain the heavy-duty action. Also, he had to get Malinga, son of a man who did small jobs for a transport company, to a better school. He had to fight with clubs, get him a job. The strength and the muscle came, and Malinga showed good aptitude for studies, having moved from Vidyaloka Mahavidyalaya to the better Mahinda Vidyalaya. "He was an ordinary boy, but very studious," remembers Ramanayake. "Good at studies. O level also he did well. That helped him grow as a cricketer. "His action, his uniqueness, we didn't want to change, but his skill had to be developed. He was fast all right, and fast meaning, at 16, he was around 135ks. But he didn't bowl reverse swing - he learned that. He didn't know his fields and all, and the bouncer. Slower ball, he never had. But whenever I said something, he tried, tried, tried." Ramanayake, the captain, coach and manager of the Galle Cricket Club, had a role to play in Malinga's first-class debut too. "It was the year 2001, the first time he was selected for the squad, not for the playing XI," says Ramanayake. "We used to play Friday, Saturday and Sunday, but one Thursday I had a stiff neck. I was the opening bowler, and we had two or three seniors. So I thought I would introduce this boy, 17 years old, against one of the leading cricket teams in Colombo, Colombo Cricket Club. He took eight wickets in the match and won the match all by himself. I never forget that. Because I didn't play, he played." Ramanayake is working hard with Malinga, who is going to play his first Test in two-and-a-half years on Sunday. The action, despite the strengthening work, has taken its toll. Malinga has slowly and gradually made his way back from the injury setback, playing Twenty20 first, then ODIs, and is now a day from a Test comeback. Ramanayake lays to rest fears that Malinga might want to play only the lucrative and less taxing short forms, as many a fast bowler nowadays does. There are nerves, but also there is excitement. "He is perfectly fit at the moment," says Ramanayake. "Bowling one-hour spells. Our trainer has done good work on him. Lasith is very keen, needs seven-eight for 100 Test wickets." Last year, during the Test against Pakistan, Malinga walked into the Galle International Stadium unannounced, every bit an ordinary Galle man except for the hair and the piercings, and watched, from among the crowd, his team win the Test. This year he will want to do it rather than watch, and tick an important box in any player's career: Test cricket.